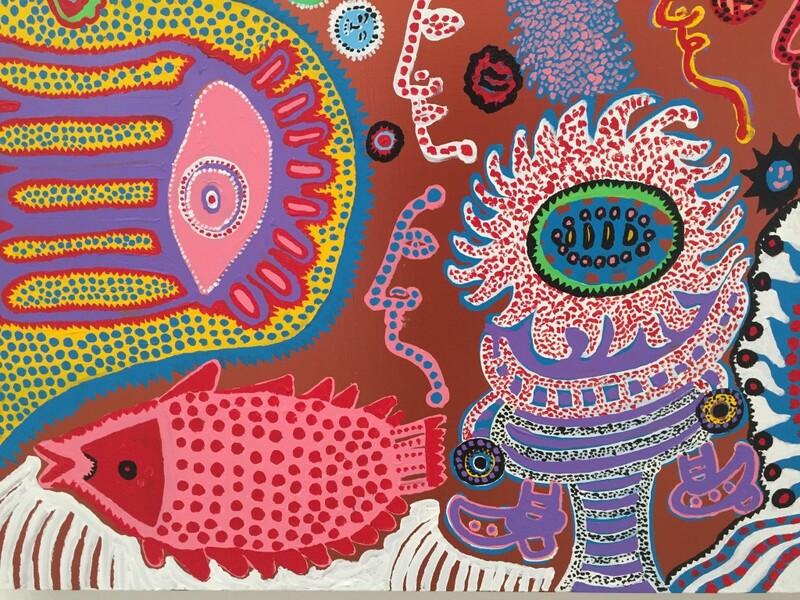 Almost twenty years before Yayoi Kusama took up permanent residence in the Seiwa Hospital for the Mentally Ill, the Japanese artist arrived in New York. The year was 1957, and after writing legendary artist Georgia O’Keeffe a letter asking for advice, Kusama established herself in the city’s avant-garde and pop art movements. It’s been nearly sixty years, and Kusama is quite possibly more popular – and relevant – now than when she was creating Infinity Nets while an artist-in-residence at Japan Society, staging “happenings” with polka dots and naked dancers, and exhibiting works with George Segal and Andy Warhol. 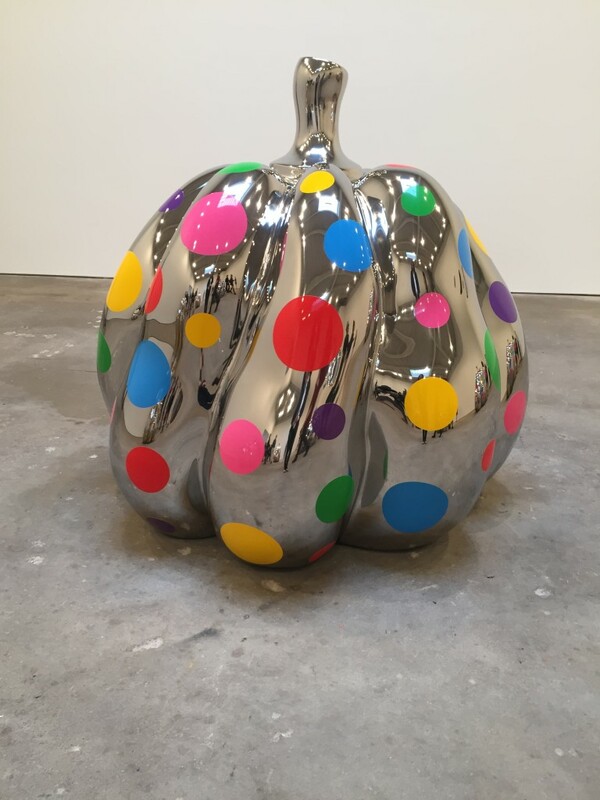 In fact, Kusama was ranked the most popular artist in the world in a survey of museum attendance in 2014. At 86 and wheelchair-bound, she is still creating works of significance, and her latest exhibition, Give Me Love, which opened at David Zwirner in Chelsea on May 9, offers more of her familiar, iconic styles. 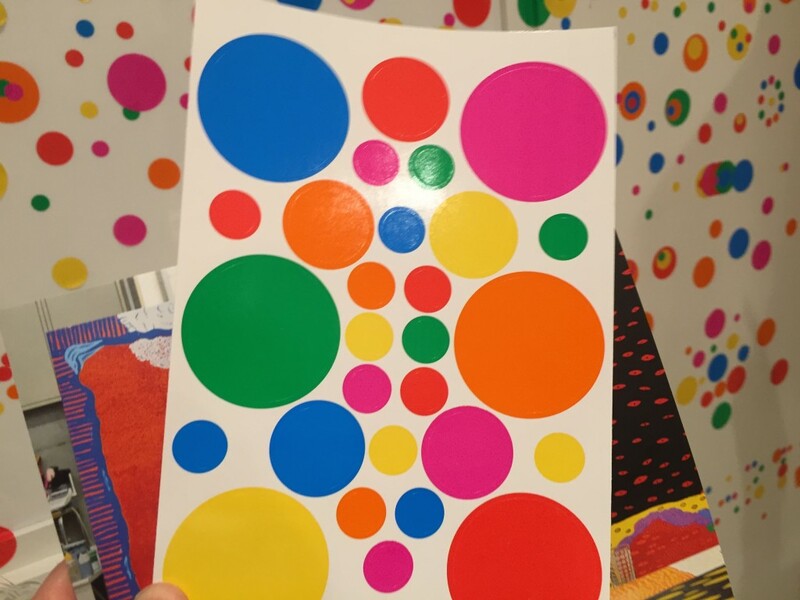 At the opening night reception at David Zwirner, the smell of fresh paint permeated the gallery rooms where Kusama’s new paintings are on display. 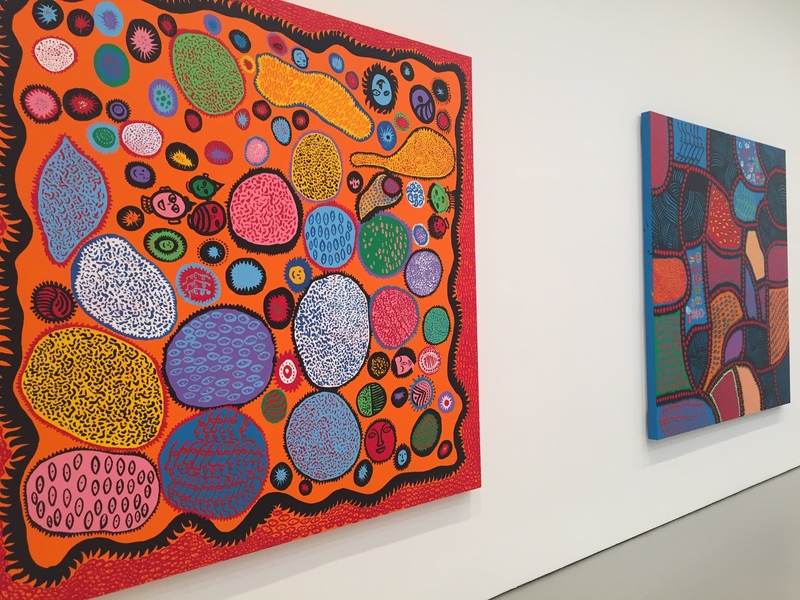 The stark white walls provide contrast to the vibrant palette Kusama uses for her large-scale works. The amoeba-like creatures, polka dots, lines and flexible shapes play major roles. 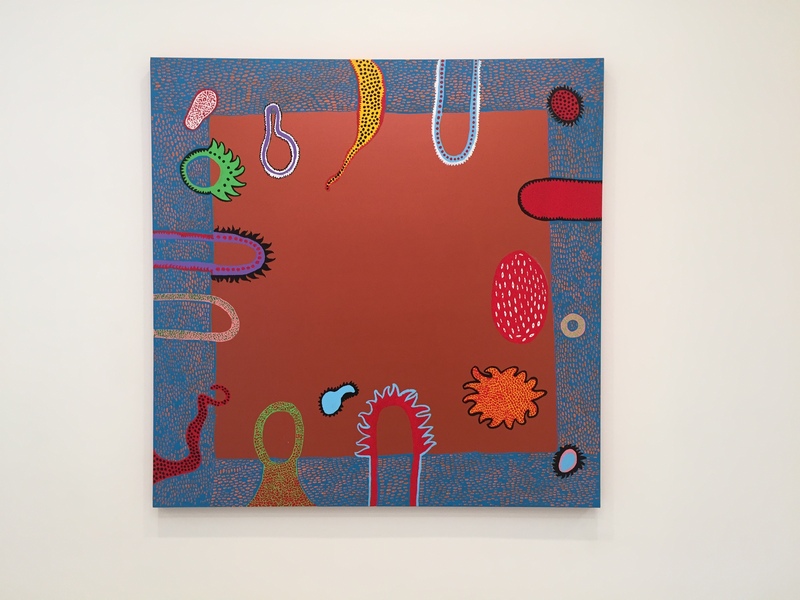 The oldest paintings date back to 2013, when Kusama had her first exhibition at David Zwirner, I Who Have Arrived In Heaven. A continuation of her My Eternal Soul series, the 17 paintings are a testament to Kusama’s consistency. The bold colors and cheerful faces belie the titles of the art. Names like Waiting to Die at the Land of Glory, Fear of Youth Overwhelmed by the Spring Time of Life, and Far End of Disappointment echo the artist’s unhappy childhood in Matsumoto, a town in the Japan Alps. Abandoned by her father and unloved by her mother, a young Kusama suffered from nervous disorders and hallucinations. The dots, flowers, and nets she imagined seeing became her trademarks. More than a painter, Kusama is a writer, filmmaker, performance artist, as well as sculptor whose best-known creations are her polka dotted pumpkins. 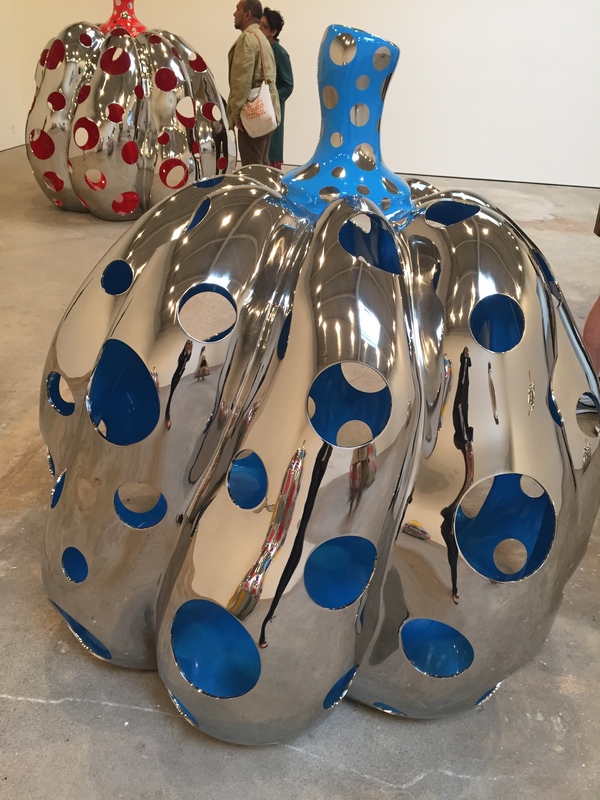 There are six new ones in one room of David Zwirner, all made of stainless steel and urethane paint, and all named PUMPKIN. There’s a playful, fun house quality in the reflections. 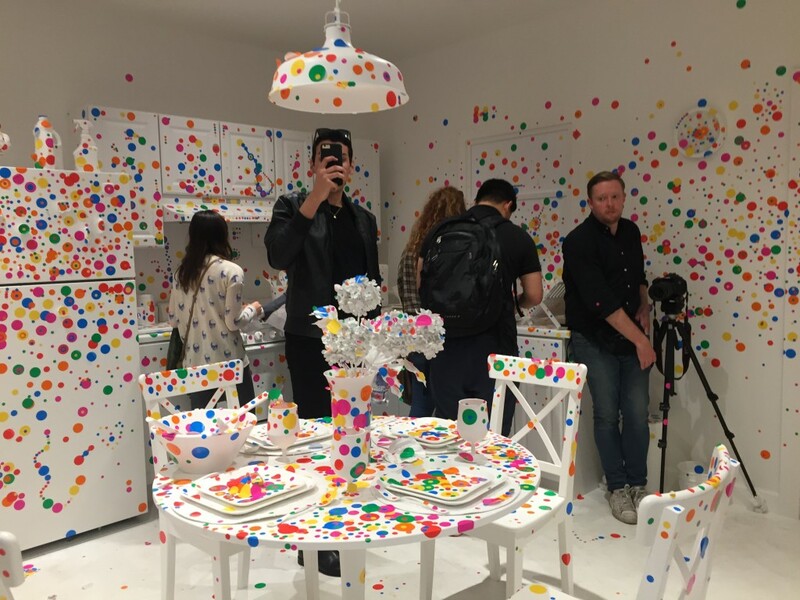 In what Laura Feinstein of Vice predicted room will be the “next New York selfie destination,” The Obliteration Room is the interactive portion of Kusama’s Give Me Love exhibition. It’s a house built on site that is painted entirely white inside. Everything is painted white: The tables, the books, the stove, the dishes. Each visitor to the house is given a sheet of stickers and is encouraged to place those stickers anywhere. 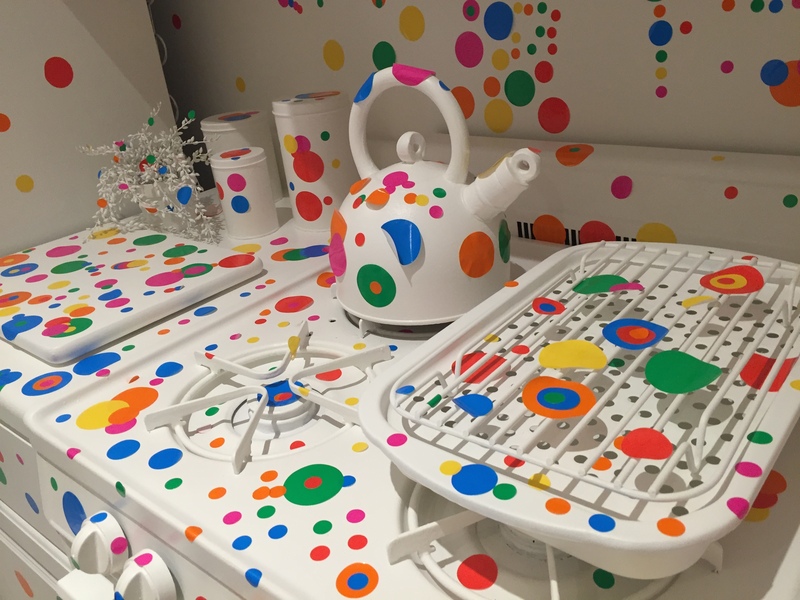 So there are red, blue, yellow, and green polka dots all over the room, on the walls and floors, desk and books, light fixtures and plants. 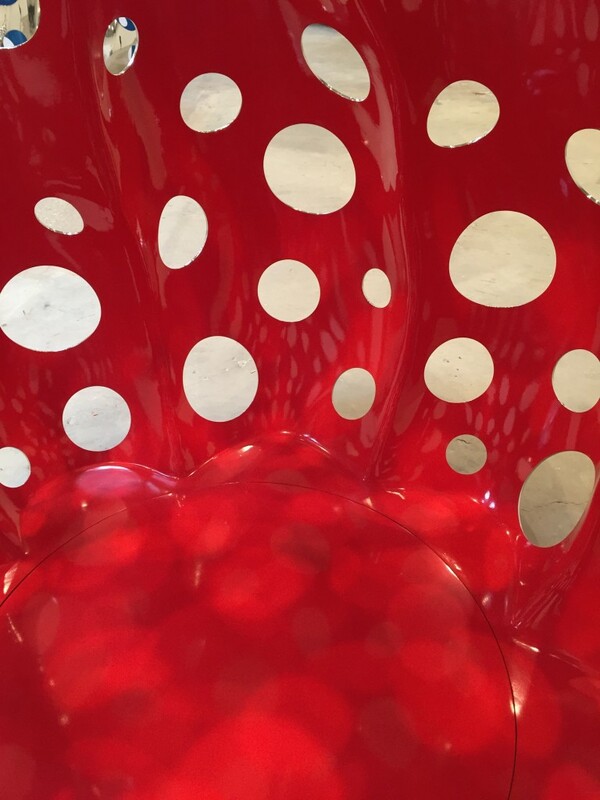 The world through Yayoi Kusama’s eyes? These photos are from the second hour of the first night, so it will be interesting to see Kusama’s process of obliteration as the dots accumulate throughout the five weeks of the exhibition. Give Me Love runs through Saturday, June 13 at David Zwirner, 525 W. 19th Street between 10th and 11th Avenues. 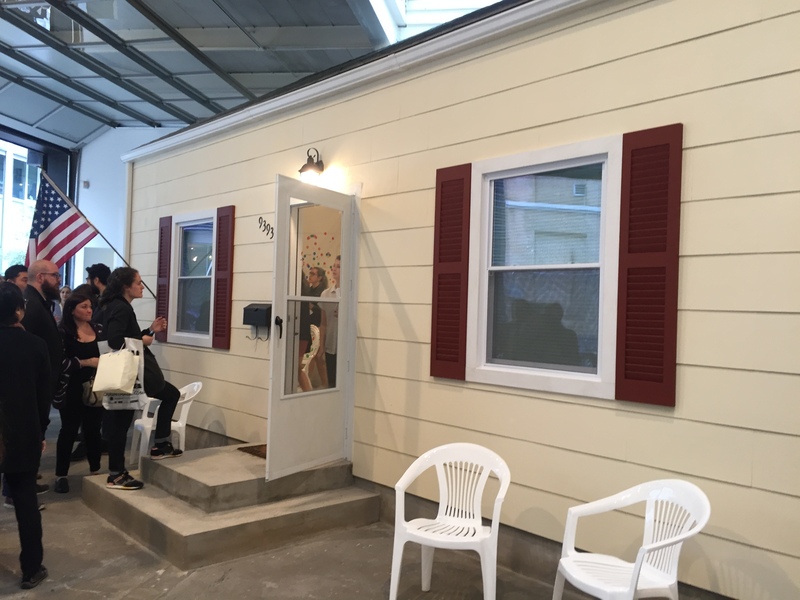 Gallery hours are Tuesday through Saturday, 10:00 a.m. until 6:00 p.m. For more information about the exhibtion, visit David Zwirner’s website. 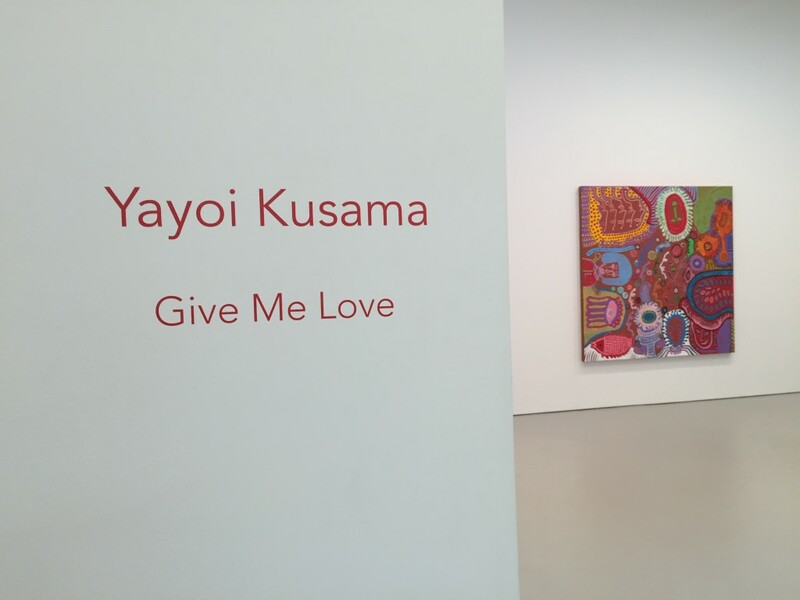 For more information about Yayoi Kusama, visit the artist’s website.